Atlas Wire, LLC has served the electronic, OEM, and distribution markets since 1966. Atlas Wire, LLC manufactures PVC insulated, Nylon insulated, and Cross-linked Polyethylene insulated wire in either single or multi conductor constructions. 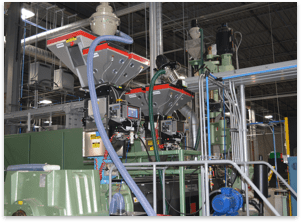 Atlas can provide insulated wire that meets hundreds of industry and Underwriter’s Laboratory specifications including UL Appliance, UL Fixture, UL Insulated, UL Machine Tool, Canadian Standards Association, Automotive, and Military requirements. Atlas Wire has manufactured over 4,900 different types of wire in sizes from 4 to 30 AWG. Atlas Wire, LLC is a “service oriented” company that manufactures products of the highest quality, offers low minimum order quantities, and maintains the shortest production lead times. We focus on customer needs and expectations to fine tune all aspects of the business. 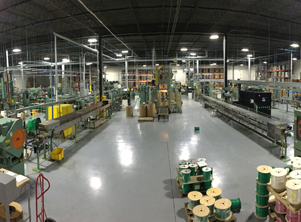 Atlas Wire, LLC will continually improve the quality management system that enables Atlas to provide safe, defect free products that are delivered on time and that perform as required by our customers.